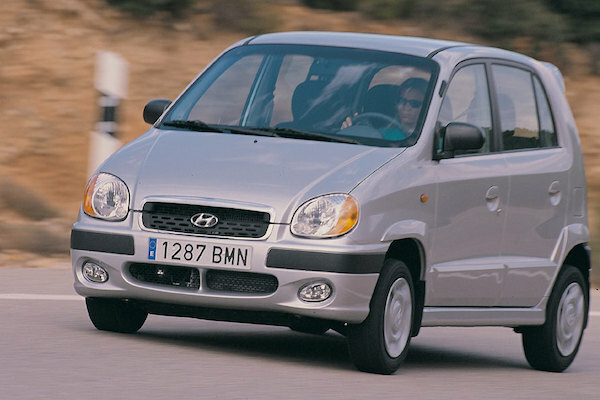 The Hyundai Santro is up to #2 in India – the highest a foreign nameplate has ever ranked. The Indian new vehicle market edges up 5.2% to a new record 752.687 units in 2000, and the reshuffle of the market continues at breakneck speed. 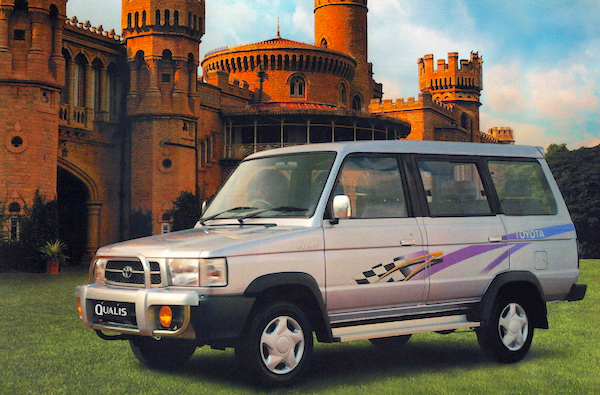 Maruti (-12%) for once goes completely against the market’s evolution and as a result loses 8.4 percentage points of market share – the largest single year drop since BSCB records for India started in 1985. Tata (+11%) continues to surf on the success of the Indica and cements its 2nd place at 14.7% share, becoming the 2nd brand after Maruti to sell more than 100.000 units in a single year in India. Hyundai (+33%) is the success story of the decade, reaching 10.8% share two years only after launching in India with 2000 marking its first podium finish. Mahindra (-10%) suffers and tilts below 10% share at #4 while Daewoo soars 80% but remains stuck at #5. Toyota is the newcomer of the year with a very solid 6th place and 2.9% thanks to the sole Qualis, Ford (+344%) is back on track at #8 when Fiat (-40%) crumbles to #9. Toyota launches in India with the Qualis. Over in the models ranking, the Maruti 800 (-24%), albeit #1 for the 16th year in a row, is hit hard and sees its share drop over 7 percentage points to 19.7%, the nameplate’s lowest ever. The Hyundai Santro (+10%) wrestles its way to an astounding 2nd place overall, a level never before reached by a foreign nameplate even if the Santro is made in India. This also means the podium isn’t 100% Maruti anymore, as both the Zen (-17%) and Omni (-18%) also go against the market and drop one spot to #3 and #4. The Mahindra Jeep (-9%) holds onto its 5th place by the skin of its rugged teeth as the Tata Indica (+30%) improves drastically to over 50.000 deliveries for the year. The Daewoo Matiz (+93%) almost doubles its sales to confirm it is the 2nd best-selling foreigner in India at #7 overall and one of only three alongside the Toyota Qualis. Maruti also looks like it’s preparing its future, with the launch of the Wagon R (#11) and Alto (#15). Full Year 2000 Top 18 All-brands and Top 50 All-models below.